On an immersion to Africa in January 2017, myself, along with a group comprising primarily of recent high-school graduates from Melbourne, were privileged to have had the opportunity to visit Nyumbani Village in Kenya, a haven for abandoned children with HIV/AIDS. 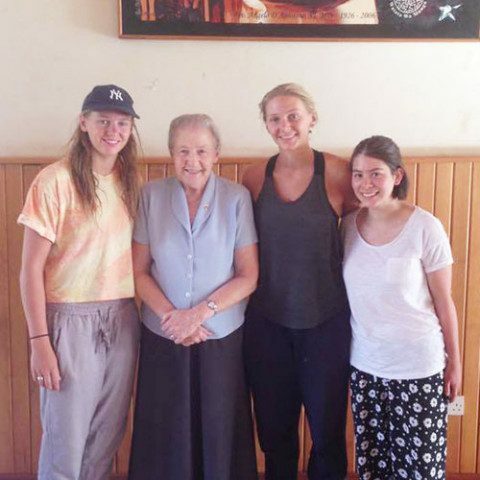 In particular, as alumni from Loreto Mandeville Hall, I, along with Elisha and Imogen Purcell, were grateful to meet Loreto Sister Mary Owens, the Executive Director of Nyumbani Village. 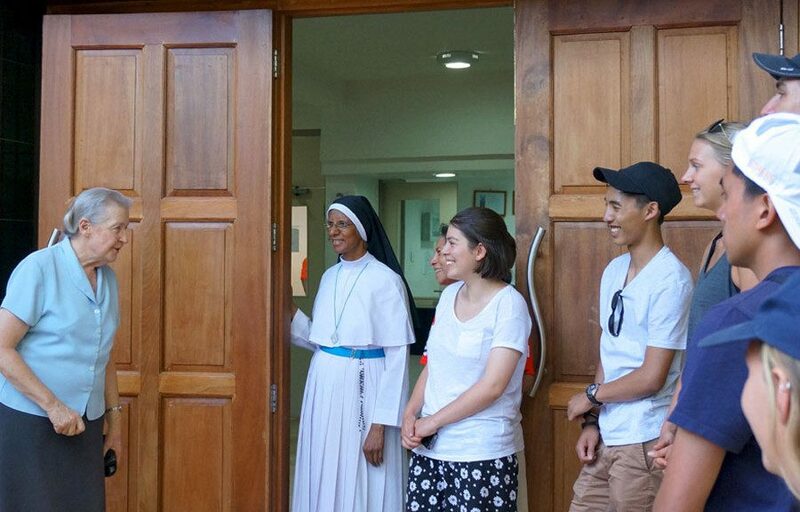 Sr. Mary Owens informed us of the vital work done at Nyumbani Village to care for and educate the children, and ensure their medical needs are addressed. Moreover, she spoke of the stigma and discrimination faced by those with HIV/AIDS, and the consequent lack of support they can receive. 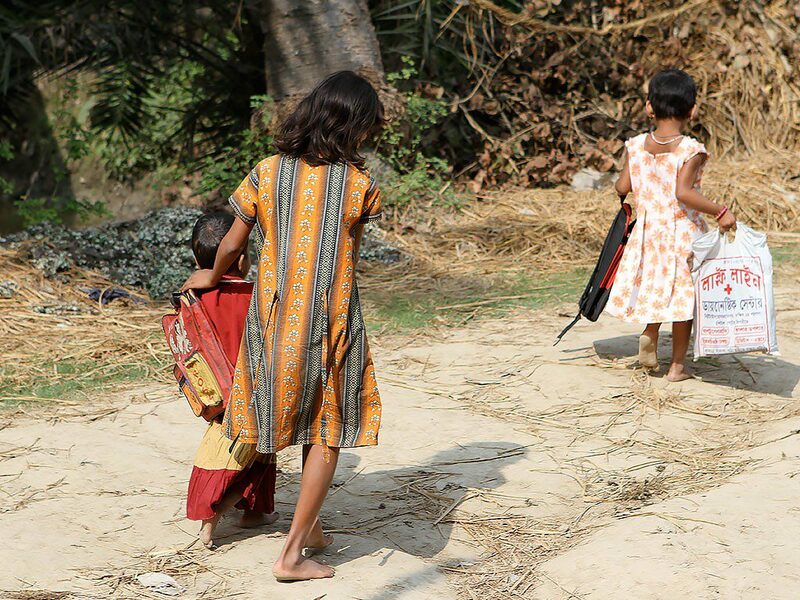 We were heartened to hear, however, that provided the children continued to take medication, they were capable of living out their lives to the full. 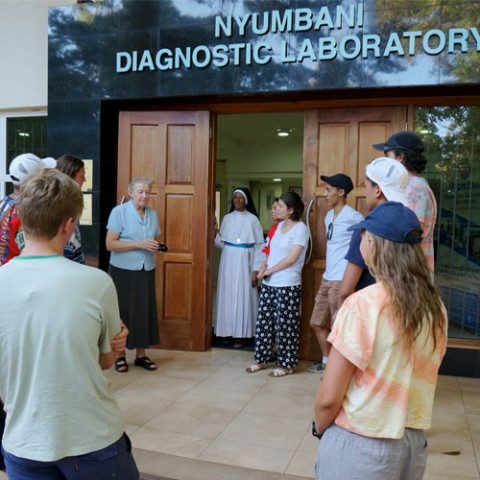 In order to maintain the work of Nyumbani Village, Sr. Mary Owens stressed the importance of sustainability and spoke of the project to plant hard-wood trees, which could then be sold to provide income, thus ensuring the longevity of the village. We were subsequently taken on a tour of the facilities. We were all impressed with the Nyumbani Diagnostic Laboratory, a state-of-the-art facility where Kenya’s HIV/AIDS patients could be diagnosed and treated. What was perhaps the most heart-warming aspect of the visit, was being given the chance to visit the children in their homes. There were four homes with around fourteen children in each, who were cared for by a ‘mother’. It was with extreme eagerness that we were greeted, and shown the bedrooms, toys and other belongings of the children. They were so full of joy and hope, and expressed optimism for their futures, with many expressing the desire to be pilots, doctors or lawyers. It was with some sadness that we departed, yet we were filled with the warmth and generosity of those we had met. This visit to Nyumbani Village had a profound impact on myself, Elisha and Imogen Purcell, as it did for the other members of our group. Given the magnitude and the devastation caused by the HIV/AIDS epidemic in Kenya, it was inspiring to see the projects implemented to provide support for those both infected and affected by HIV/AIDS. We are immensely grateful to have witnessed the wonderful work of Sr. Mary Owens and the staff at Nyumbani Village. Our thoughts and prayers remain with you all, and may you continue to carry out the work of Mary Ward. In February 2016 I visited India to volunteer with the Darjeeling Mary Ward Social Centre (DMWSC). Having travelled to India 10 years ago I had some understanding of what to expect. Somewhat prepared for the sights, sounds and smells that lay ahead, I headed out to explore Kolkata, and, on my first day stumbled across one of the many Loreto schools. I was kindly taken on a tour of the Rainbow Room, home to hundreds of street children without access to education. The children were so welcoming and keen to practice their English. The following day I flew to Bagdogra and spent the next four weeks in the nearby town of Siliguri in the Darjeeling district – home to 700,000 in comparison to Kolkata’s 15 million. and Sisters shared with the group their plans for the day – a great way to get to know everyone. With the One Billion Rising march and rally coming up I spent the first few weeks visiting schools to talk about domestic violence. One Billion Rising is the biggest mass action to end violence against women. I also visited the tea gardens to speak to women about improvements experienced since they started working with the DMWSC and the challenges that lie ahead. With the help of DMWSC, it is evident the women are more aware of their rights and processes which empower them to make positive changes in their villages. fferent world! Darjeeling with its bitter cold and amazing views of the Himalayas was such an experience. I stayed in a majestic building, constructed in the 1800s, and was taken on a tour of the schools to meet the teachers and students before exploring the town with the help of the Sisters. Lolay, a remote village on the mountainside, provided the most life changing of all my experience in India. I had the opportunity to “teach” students from nursery to class 4 and meet people who struggle daily to access food and medical treatment. They also live on harsh terrain that makes travel a challenge – and still they are happier than just about anyone I know! It makes you realise how truly blessed and easy our lives are in Australia! Volunteering with MWIA was an unforgettable experience that I will be back to do again! I was exposed to such a variety of experiences; from working on reports and proposal documents to teaching children and marking homework. 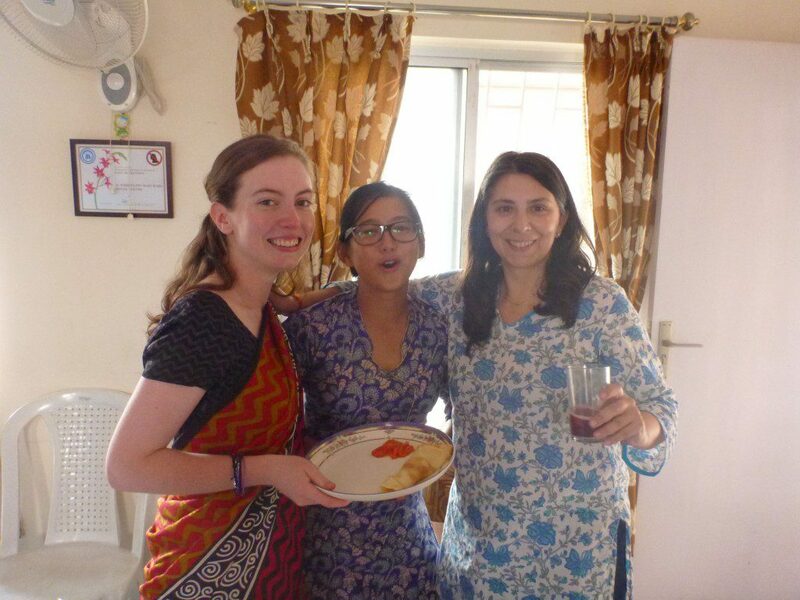 in Siliguri, Darjeeling and Lolay were welcoming and accommodating. I feel I have made life-long friends with them and other volunteers. It was a great way to be totally immersed in the culture with people from all parts of the world and it taught me a lot about myself. I can’t wait to go back! 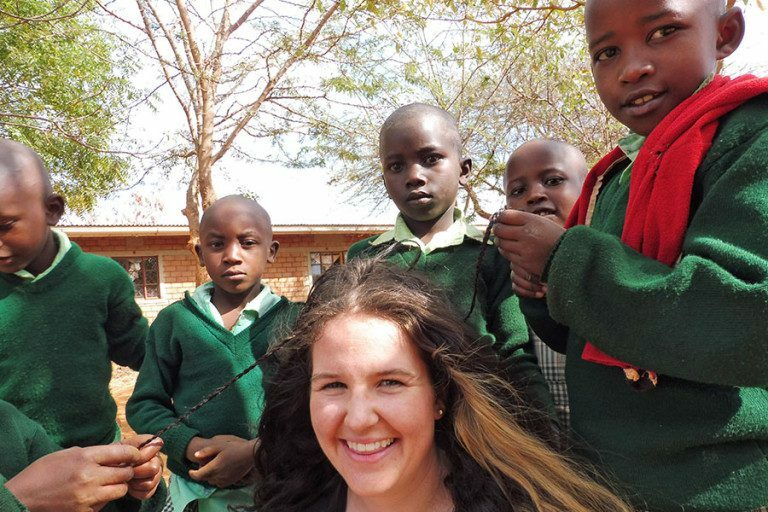 Kate Conlan has recently returned from a two month volunteer placement at Nyumbani Village in Kenya. This remote village prides itself on being a bio-friendly and self-sustaining community serving 1000 orphans and 100 elders who have been left behind by the “lost generation” resulting from the HIV/AIDS pandemic. Village Co-founder, Loreto Sister Mary Owens developed plans back in 2006 to serve as a model for future initiatives. Life in Nyumbani village was so different to what I could have ever imagined! It offers so much more than just a home for children and grandparents who have been left behind as a result of the HIV/AIDS pandemic. 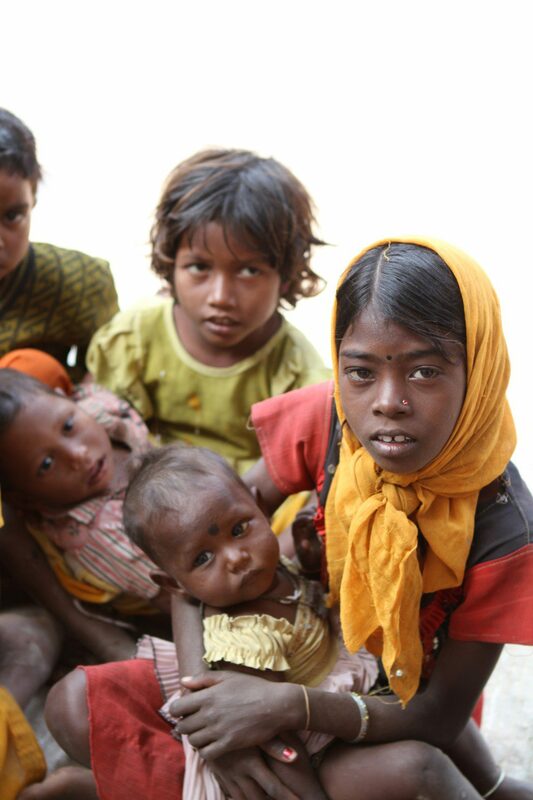 Approximately 10% of the children here are infected with HIV. The children live in clusters. There are four houses to a cluster and one Shu Shu/Babu (Grandmother/Grandfather) in each house. There is a primary school and a senior school, as well as a youth polytechnic. The students in the polytechnic can study carpentry, welding, dress-making and hairdressing courses. There is also a fully functioning medical clinic which has a permanent doctor and nurse, as well as counsellors and a lab technician. This allows for comprehensive check-ups for the children, grandparents, staff and local community members. My time and skills were spread between numerous projects. This included time at the clinic, public health projects and organising a photography competition and exhibition! Wednesday mornings I worked in the clinic distributing HIV medication to patients and assisting with children’s health check-ups. This involved weighing the children, measuring their height, temperature and assessing their overall wellbeing. We also took this time to relay the importance of taking their medication regularly. When I wasn’t in the clinic, I spent my mornings working on four other projects; hand hygiene, oral health, women’s health and a photography competition and exhibition. Hand hygiene and oral are both very important but the community needs to understand why, as this area needed improvement. It was my job to educate the children on the importance of washing their hands regularly and effectively, as well as teaching them to brush their teeth. I managed to turn this into a fun exercise by using games, activities and songs. I taught them simple songs to the tune of ‘Row, row, row your boat’. I also worked to find an effective solution to the shortage of soap and toothpaste. Especially toothpaste, as it is very expensive there. My time at the Nyumbani Village was truly amazing. I was so warmly welcomed by the staff, but especially by the children. 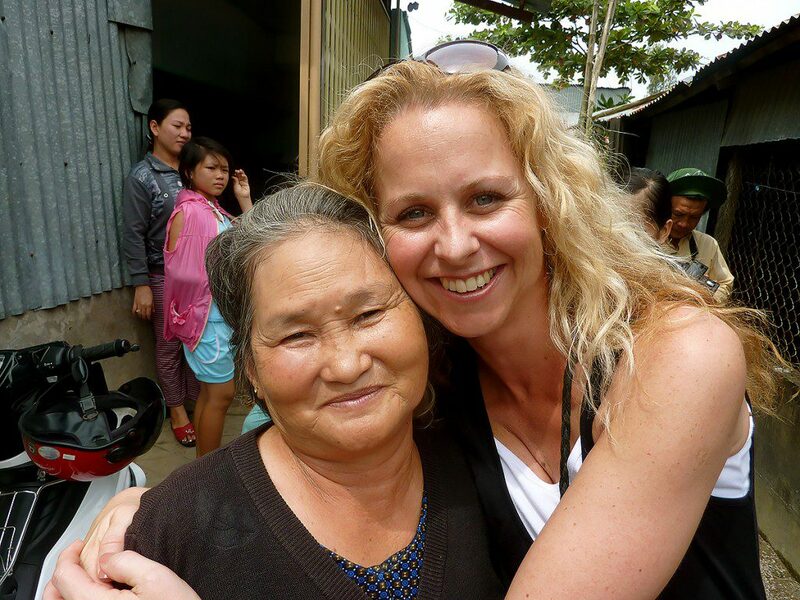 Wherever I walked in the village, I always heard someone yelling my name and running over to say ‘hello’. I was never alone as wherever I walked there were always 10 children by my side by the time I reached my destination! My name is Maddie Schultz, I am 25 years old, and currently working as a youth worker in a school for marginalised and disadvantaged young people in Australia. Over four years ago I was offered an amazing opportunity to volunteer in India with Mary Ward International Australia (MWIA). To this day I have no doubt this incredible experience helped to solidify my passion for working with young people and obtaining my dream job. I have been fortunate enough in previous years to have been able to both travel and volunteer overseas, so when the opportunity arose for me to travel to India and volunteer in December 2009 I jumped at the chance. When I linked in with MWIA, they were so accommodating, even to the point of finding me a volunteer placement that related to the university course I was studying. This made my volunteer experience even more relevant, purposeful and exciting. 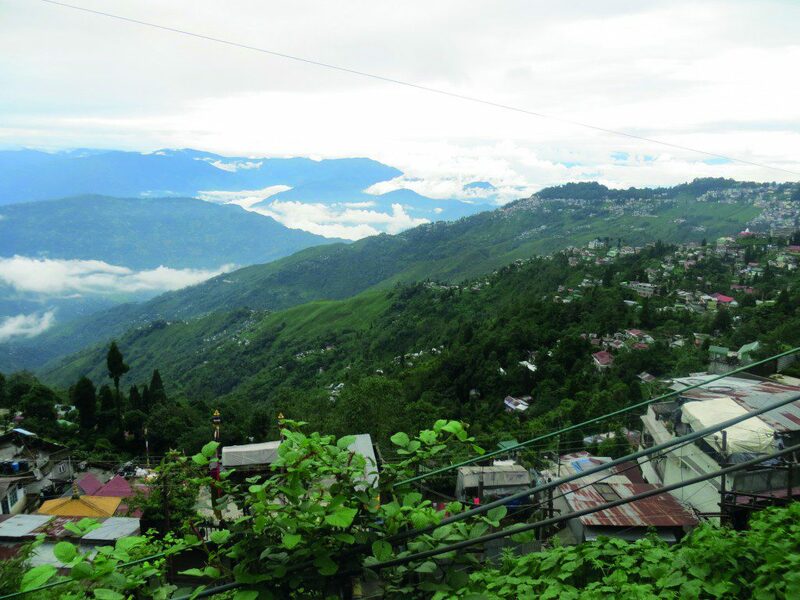 MWIA organised my placement in a rural town in the northern area of Darjeeling in a small village called Panighatta. My time spent in Panighatta consisted of two different roles. During the day I would volunteer at the local school, which was just a short walk from where I was living. There I would spend time getting to know the young people from Panighatta and the surrounding villages. I would assist the teachers in the classrooms, mainly working with the students in their English classes. I primarily worked with the children aged between four and 12 years. In the afternoons, I would stay back and help with the senior students in a homework club to complete their assignments. I also worked to develop and implement a supportive youth group for the young people of Panighatta. The youth group was aimed at helping to support the young people to gain access to better education, health advice, treatment and general support. During my five week placement, I assisted the young people identify their needs and crystallise what they wanted out of the group. In my final week, they held interviews for a local person to take over running the group and continue working with them. The whole experience of volunteering in Panighatta ultimately solidified my passion for working with marginalised disadvantaged young people. Living and working with these people was such a humbling experience and truly helped define who I wanted to be and what I wanted to do. Since returning I haven’t looked back and I firmly believe this experience has helped me obtain the job that I love today. 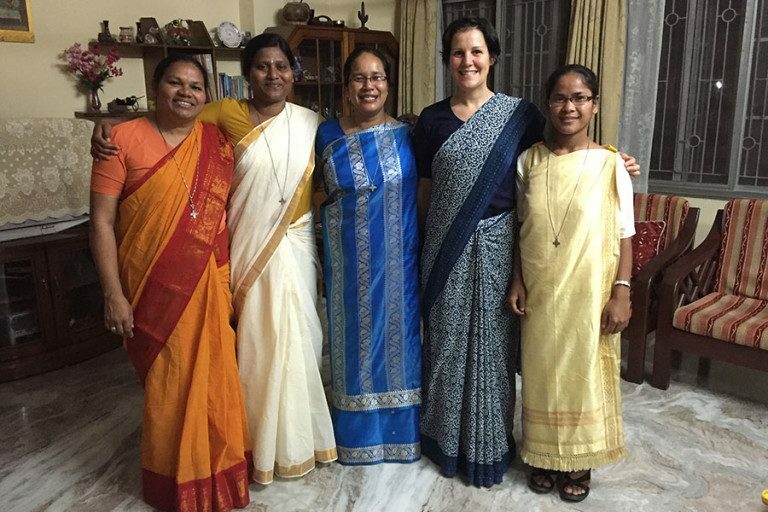 (from left to right) Imogen Purcell, Sr. Mary Owens, Elisha Purcell, and Inez Beadell. Subscribe to receive MWIA communications and stay up-to-date with all the latest news, projects and upcoming events. The Australian Council for International Development (ACFID) is the peak Council for Australian not-for-profit aid and development organisations. Mary Ward International Australia is a signatory to the ACFID Code of Conduct, which is a voluntary, self-regulatory sector code of good practice. As a signatory we are committed and fully adhere to the ACFID Code of Conduct, conducting our work with transparency, accountability and integrity. Information about how to make a complaint can be found at www.acfid.asn.au Mary Ward International Australia is a Full Member of ACFID. Mary Ward International Australia is fully accredited by the Department of Foreign Affairs and Trade.